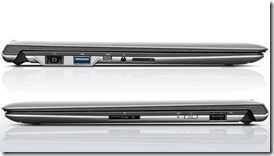 I’ve just posted detailed hands-on information about the excellent Lenovo Yoga 710 11-inch 360-degree convertible and as I read my colleagues review of the Yoga 300 11 I wonder why they bothered. This 360 convertible weighs about 40% more, has less battery life and a very poor screen. Granted, it’s got a useful choice of ports but hey, when the screen is this bad, who’s going to want to use them? At 400 Euro the Yoga 300 11 (Lenovo Yoga 300-11IBR) with Intel Celeron N3050 and 4GB RAM isn’t even that cheap. The whole package is wrong and will damage the Yoga name. Or perhaps Lenovo are using the Yoga name to try to push through some profitable sales? The Yoga 300 11 scored 78% at Notebookcheck with the screen score coming in at 72%. In my opinion it should be marked down further than that because the contrast of just 376:1 is the worst I’ve seen since I’ve worked with NBC. [Do yourself a favor and look for a contrast of 1000:1 or more when you buy a laptop.] The colors are inaccurate and limited and there’s a center rightness under battery usage of just 210 cd/m2. I haven’t seen figures like that since the netbook days! 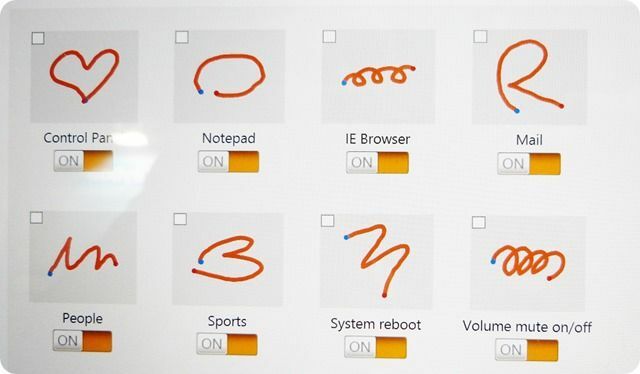 My recommendation: Don’t buy the Lenovo Yoga 300. Even if it’s on offer. And while we’re at it, where’s the alternative. The ASUS, Toshiba and Acer offers in this segment aren’t that good either. I say wait and save up for the one I’m using right now Even if it’s a 4GB / 64 GB / Core m3 version of the Lenovo Yoga 710 11 it’s going to be much more usable than the Yoga 300 11. Acer C738T Chromebook convertible leaked. 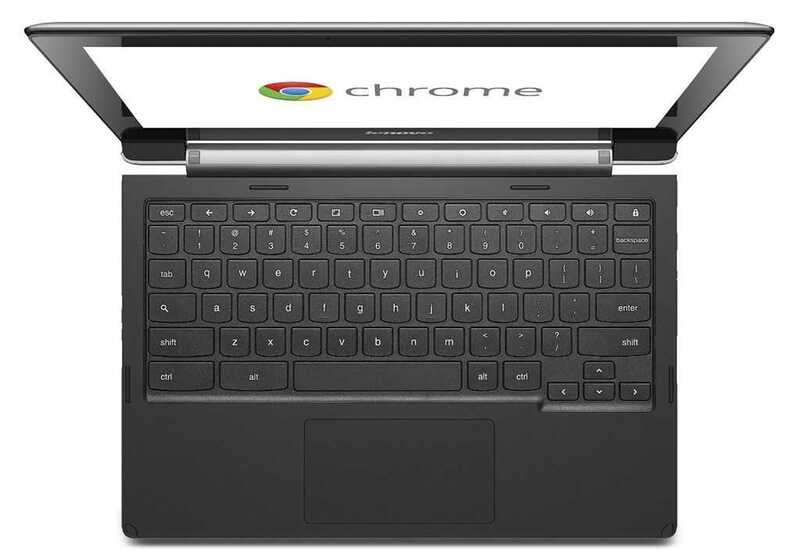 This is very interesting news if you’re interested in a touch-enabled convertible Chromebook. The Acer C738T has been leaked. 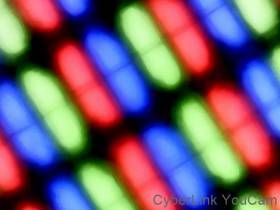 It indicates a another step towards a Chrome OS tablet. This is an entry-level 11.6 inch offering but a 4G option makes this particularly interesting for those that want to go mobile with their Chromebooks. Chromebook, News Comments Off on Acer C738T Chromebook convertible leaked. Laptopmag published an interesting article about touchscreen laptops last week. “Why you shouldn’t buy a touchscreen laptop.” I strongly disagreed, along with others, on a Facebook comment thread. Touch can be extremely useful, productive and fun if you commit to it but if you’re not feeling adventurous then yes, touchscreens may be a disadvantage for you. The 1-2mm thickness, 100 grams and, usually, $100 is a waste. Me, I need touch badly, as I found out at the weekend when testing out a Macbook. The Macbook is a gorgeously finished ultra-light PC with a great screen, an amazing trackpad and, for me, a nice keyboard. That keyboard might be a little too low-profile for some so try before you buy. It was the screen that caught me out though. It took me at least 5 seconds to realize there was no touchscreen as I poked the URL bar on Safari. I’m so used to doing it on my own touchscreen laptops and convertibles that when it’s not there I not only miss it but I waste time too. Scrolling and zooming, selecting and dragging are often harder and slower with a touchpad and simple things like annotating a Snipping Tool grab or adjusting the screen brightness and volume are faster and more accurate when the touchscreen and touch UI are in place. Of course OS X isn’t built for touch so there’s no reason for touch here but the experience confirmed to me just how much I rely on a touch layer and touch UI. The Macbook is a no-go for me. 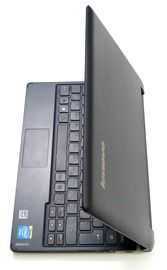 You can find all the lightweight touchscreen laptops here in the database. I realize I am probably in the minority as a touch laptop fan so feel free to voice your opinion below. Do you think the number of touchscreen laptops available is going to increase or decrease? Will Windows 10 improve or degrade the laptop touch experience? The Intel Core-M based, fanless, 2-in-1 $699 Acer Aspire Switch 12 has arrived for review and my first impressions, written as part of a full review for Notebookcheck, have been posted. Acer Aspire Switch 12 is available. Update: The full review is now available. Go give Notebookcheck (and my review) some love! 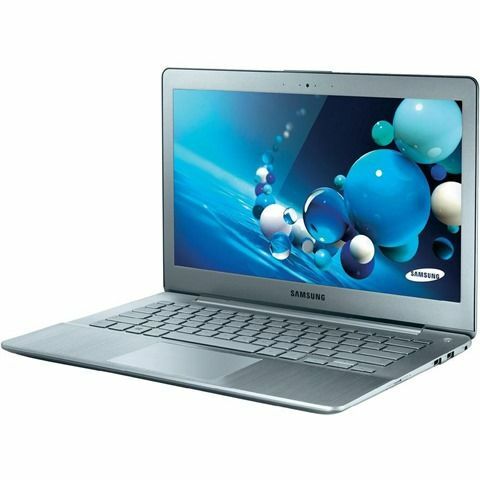 Think about 2013-level Ultrabook performance with no fans, more flexibility and a good market-start price. 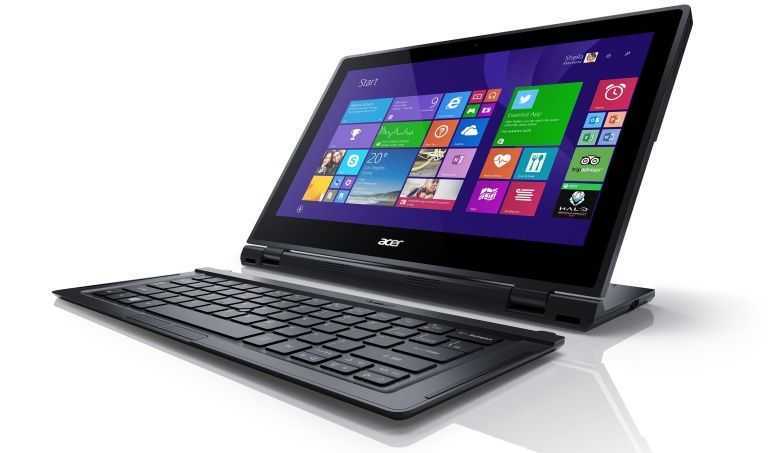 The Acer Aspire Switch 12 weighs 1.1 KG…until you add the keyboard which takes you up to 1.4 KG. Because of the always-exposed screen Acer have done the right thing and provided a nice case but when you put the bundle together with the power supply you’re carrying over 2 KG. Despite the weight I like the Switch 12 for a couple of reasons. 1) It’s more stable on the lap than many other solutions because of the rear stand and mid-mounted screen. 2) It’s fanless and is returning performance scores well above what you’ll find with Baytrail-based solutions. There’s also a fast SATA-connected SSD inside which makes this one of the cheapest full-HD 128GB SATA SSD solutions out there. Add AC WiFi, USB 3.0 and a good keyboard that can be pulled away from the unit and you’ve got a productive setup. Comparisons must be made to the Surface Pro 3, Lenovo Yoga 3 11 and the HP Envy 13 X2 which is even more hot-desking focused. A preliminary set of performance results, battery life figures, confirmation that there’s a digitizer and other information can be found over at Notebookcheck.net where I’ll be publishing the full review. Let me know if you’ve got any questions and I’ll try to get them answered in the full review. The HP Chromebook 14 was popular and well-received. Maybe it was because of the 14-inch screen but I think in general it was the build quality, the keyboard and the Haswell-architecture performance that did it. It was an all-round quality Chromebook. The new HP Chromebook 14 has an updated design, screen options and has switched from X86 to ARM in the processor department. Battery life is improved as a result. Rounding-off a series of Chromebook updates here on UMPCPortal are my thoughts on the Lenovo N20p Chromebook which is built around a design I tested recently in the Lenovo Flex 10. In my opinion it adds a lot of value to a laptop and is actually more suited to a laptops design than a ‘yoga’ style tablet-capable design. Like the Flex 10 the N20P has a 270-degree fold-back ‘stand mode’ touchscreen and comes with a basic set of specifications. Atom CPU, 2GB of RAM and 16 GB of eMMC storage. 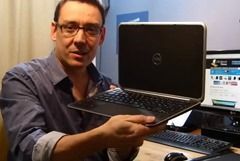 Unlike the Flex 10 this Chromebook doesn’t have a touch-friendly user interface option and that, for the time being, could be seen as a big disadvantage. In practice though there are a lot of things you can do with a touchscreen in stand mode and web-browsing is an important one. When I did the in-depth Lenovo Flex 10 testing I found the unit to be more practical as a partner PC than a 7-inch or even 10-inch tablet without a stand. Magazine-style reader apps (I use Feedly) are great with coffee as is a Facebook or Tweetdeck ‘easel.’ Video applications work well too because this seat-back friendly mode brings the screen closer to the eye and, at full fold-back, has great stability. 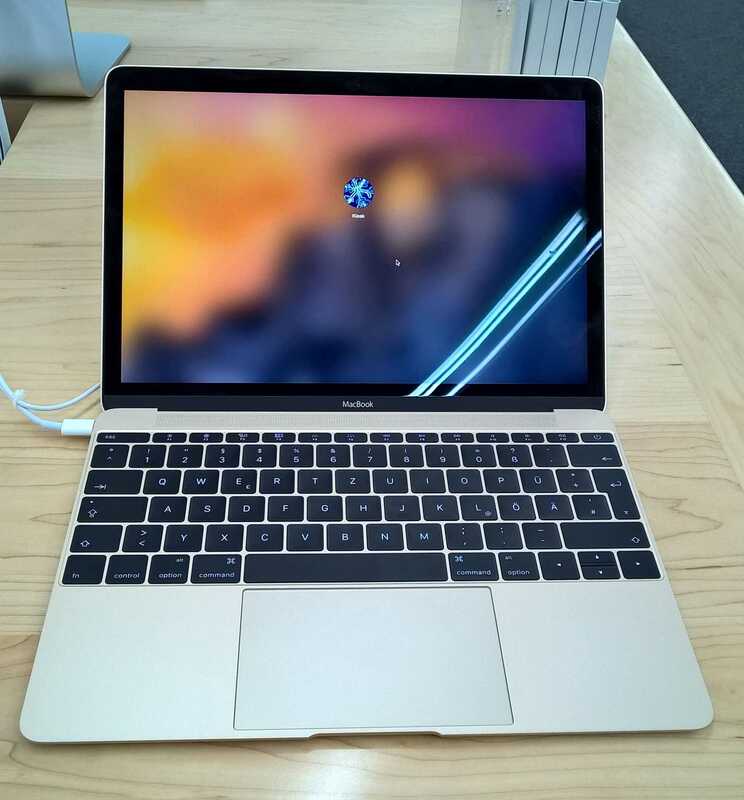 If you want to lift the screen to eye-height you’re also able to fold the screen to 180-degrees and prop up the unit to balance on the keyboard edge. Flex is good and worth paying a little extra for. At current prices the Lenovo N20p is going to set you back about $60-$80 more than the cheaper Chromebook options which is a significant 25%-33% more than the cheaper ASUS and Acer options and, presumably because of the design, it’s a little heavier than, say, the ASUS C200. There’s a 34.8Wh battery inside which is OK, but not the biggest either. Screen resolution is a basic 1366×768 and there’s no mention of wide-viewing angles in the Lenovo marketing materials. A USB 2.0. USB 3.0, SD card, headset and full-size HDMI port are on-board and there’s AC-capable WiFi. Although there isn’t a perfect match between a 2-in-1 design and ChromeOS now the Lenovo N20p offers the consumer something that’s been missing from Chromebooks up until now – fun. As ChromeOS develops with new features and improved touch capability the N20p could evolve into an attractive secondary PC for home and holiday use. If the AccuType full-size keyboard is good, this might make a good conference or hotel PC. 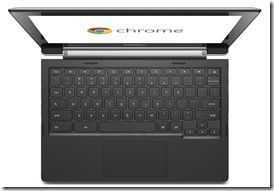 In the Education market students are going to be far more excited about this Chromebook design. If you’ve got the Lenovo N20p or are thinking of buying it (available at Amazon for $310 in the USA) let us know your thoughts. 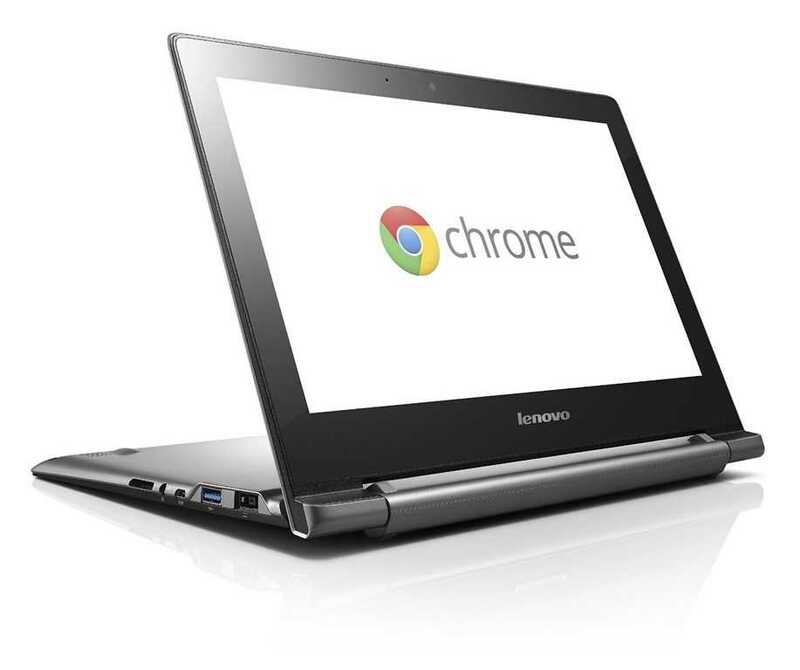 To assist you in choosing a Chromebook we’re adding selected (lightweight, portable) models to our database here. The N20p will be added shortly. 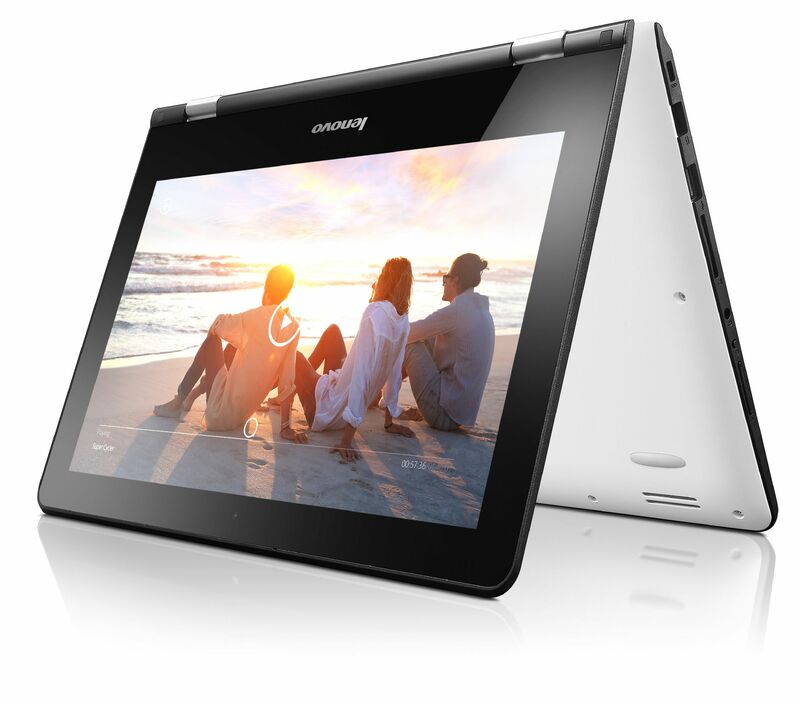 You can find out more about the N20p at Lenovo’s US website. When I reviewed the 270-euro Lenovo Ideapad Flex 10 recently I knew it would be a great candidate for an SSD upgrade. 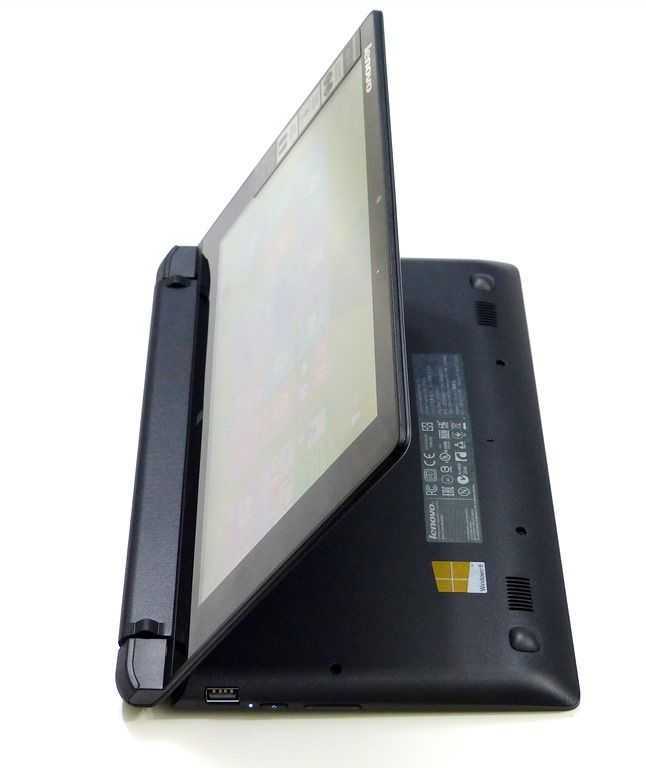 This fanless, touchscreen hybrid is the very model of a modern casual portable laptop but it was fitted with a really poor quality hard drive that was obviously holding the system back. After completing the SSD upgrade yesterday I can report that the difference is amazing. Applications are starting in half the time, the PCMark score is up 70% and the system works as it should. No more drive activity slow-downs and a huge lift in the user experience. I’ve done a lot of SSD upgrades over the years but this one is probably the most impressive. The Lenovo Flex 10 has a 270-degree fold-back screen. Stand-mode is very useful. Over 40X improvement in the very important 4K write speed. Superb result! In a PCMark test the device scored 70% better. 1521 with HDD, 2579 with SSD. Application start-up times are drastically reduced. DriftMania started in 10 seconds compared to 21 seconds with the HDD. Lenovo Photo Show started in 5 seconds (11 with HDD.) Facebook, IE, Chrome and Paint also started about twice as quick. Battery life has probably been improved too but I haven’t tested it yet. Considering the heat that was generated by the HDD and the time it took to get things done there’s going to be a clear real-world difference in how much you can get done on this. Silent operation is a dream too. I’ve connected a USB3.0 docking station and I’m writing this with external screen, keyboard and mouse and it’s a very nice way to write. To do the upgrade you’ll need a USB recovery drive (create using Windows 8 tools on a 16GB USB stick or CDROM.) I chose to use an external USB 2.5-inch SATA adapter so that I could do all the imaging on a faster PC. Obviously you will lose your warranty and there’s a possibility of failure or breakage so take care and own the risk! 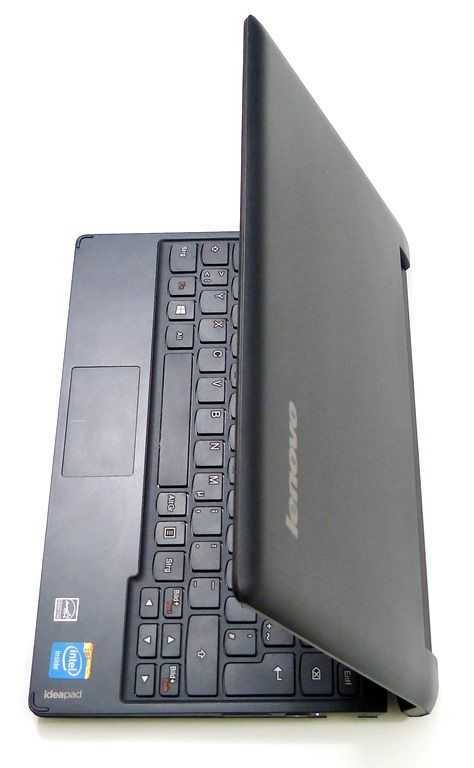 Remove back of Lenovo Flex 10. This is a little tricky. Two screws are hidden under the rubber feet and one has a seal that will need to be broken. You lose your warranty at this point. You can use a thumbnail to carefully prise the unit apart. It takes time and care, especially at the front corners, but it’s certainly not a sealed unit. Put hard disk in 2.5-inch USB3.0 adapter. There are still clear limits with this setup. The Lenovo Flex 10 doesn’t have a powerful CPU and that shows itself when you start using browser-based apps. Google Drive and the associated productivity apps won’t be much fun (Chromebooks are way more suited to this) but I suspect the free Office Home and Student will be a far better experience. GPU and video decoding power is pretty good though so you’ll be able to watch 1080p videos and play Windows 8 RT games without any issues. XBMC and Openelec work well. Read my full review, or my summary review video for more detail. I’m a huge fan of the 270-degree fold-back screen (more so than the 360-degree fold-back) and a huge fan of ‘lightweight’ computing. Based on what I’ve seen with the Flex 10 there’s scope for Lenovo to make a seriously useful Flex 11 with a quad-core Baytrail-M and a low-cost 64GB SSD. Until then though, this Flex 10 SSD upgrade has created an extremely well-balanced hybrid netbook that covers a wide range of activities. I’m keeping it. Gesture2Launch is a touch gesture mapping application that allows you to launch applications with different gestures. It’s tidy and it seems to work very well. It’s free too! The Samsung Series 7 Ultra isn’t an Ultrabook convertible which means it’s not getting the best of media attention right now but please, take a closer look because the specs are spot-on for many of you that could be looking for a ‘pro’ Ultrabook. Full HD, Discreet graphics, full SSD and a touch option. 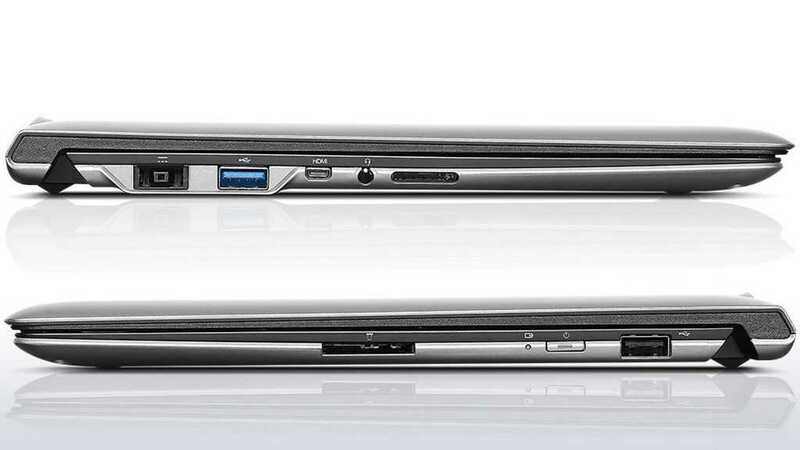 In out opinion this could be one of the best Ultrabooks yet. It’s available for pre-order now in Germany so here’s the detail, pricing and an idea of availability. I will be checking this out at CeBIT in about 4 weeks. I’ve been doing a lot of testing on the Dell XPS 12 over the last 4 days. As always, I welcome discussion below. What do you think of Ultrabook Convertibles and what device impresses you the most? Here’s the list of Ultrabook Convertibles and here’s the list of dockableUltrabooks – the form factor that won in our recent poll. 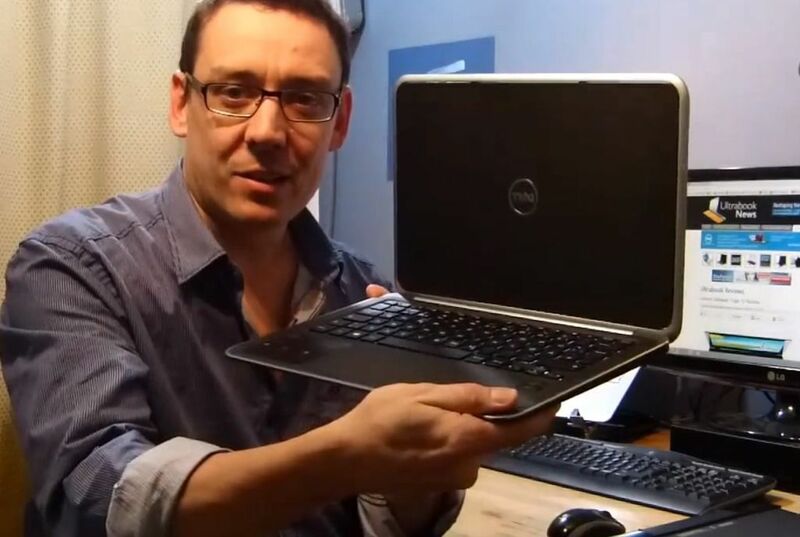 Thanks to Ultrabook-king.de for sending the Dell XPS 12 over.